Audrey, Cary, Audrey, Cary....my mind scrambled when I heard that two of my favorite classic film actors were in a film together. Oh my! These these two Old Hollywood Icons not disappoint me at all. It was like watching something you fantasize in your head and think to yourself, "Imagine Audrey Hepburn and Cary Grant in a film together?" Well look no further because Charade (1963) is that dream come true! Charade is one of those films that has a fantastic supporting cast of phenomenal actors who play unforgettable characters. You have Walter Mathau who plays a CIA agent, James Coburn, George Kennedy, and Ned Glass who are survivors of a WWII OSS Operation. But is everyone really who they say they are? 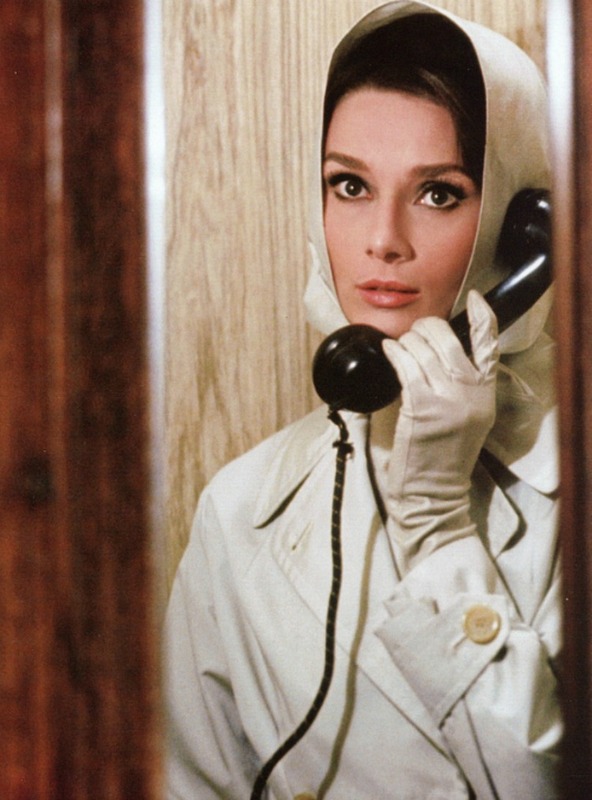 Throw in the mix of that amazing supporting cast are Audrey Hepburn (Regina Lampert) who is surprised to find out her husband Charles is missing and then finds out he is dead. She also meets a dashing mysterious stranger named Peter Joshua played by Cary Grant but his name changes so often that you become unsure of who he is. So we have a dead husband, three men chasing after the widow, a mysterious stranger who is trying to help the widow, and a CIA agent who may not be all he is cracked up to be. Talk about a charade!! Add to the mix, missing money, murders, romance, and a stamp? A stamp? Oh, you have to see the film to see what I am talking about! There is plenty of intrigue to keep you on your toes and plenty of moments when you just take a deep sigh and think, "oh that Cary Grant!" 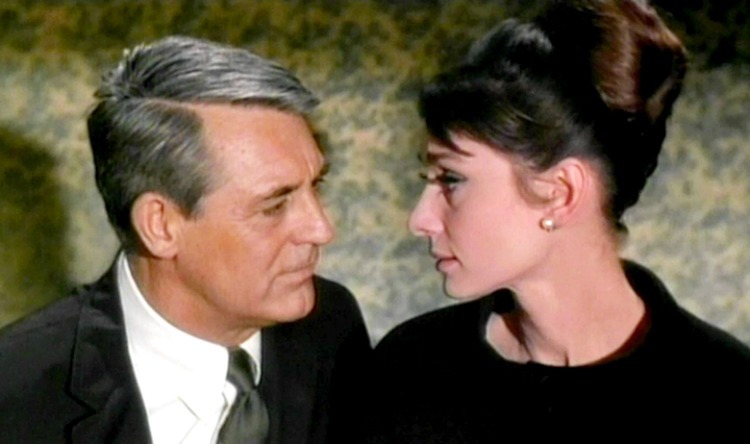 One of my favorite scenes is when Reggie (Hepburn) goes to Peter (Grant) and does what all of us who are in love with Grant would want to do.....put their finger on his chin dimple. Thank you Audrey for making so many dreams come true by doing that. Swoon! These two just make me so happy to watch on screen. The plot is interesting, there is a mystery to be solved, and a supporting cast that just shines. 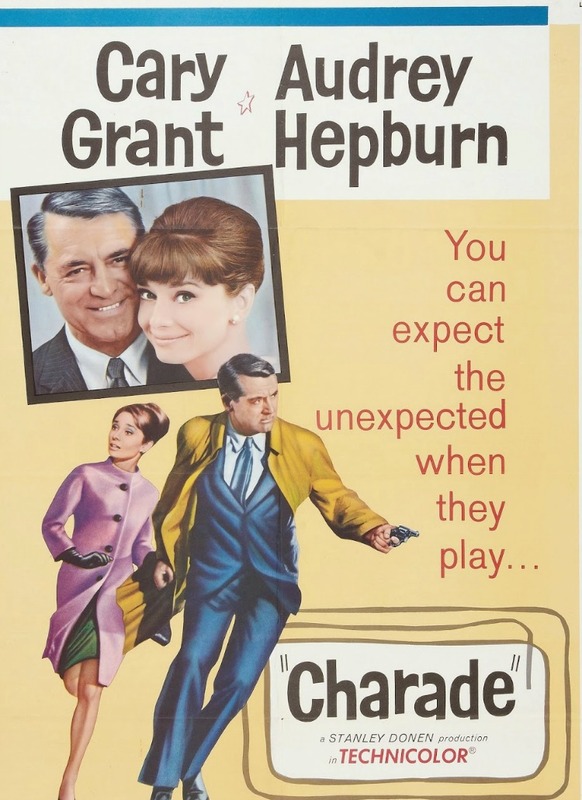 Have you seen Charade? What two classic film actors would you have loved to have seen on screen together? 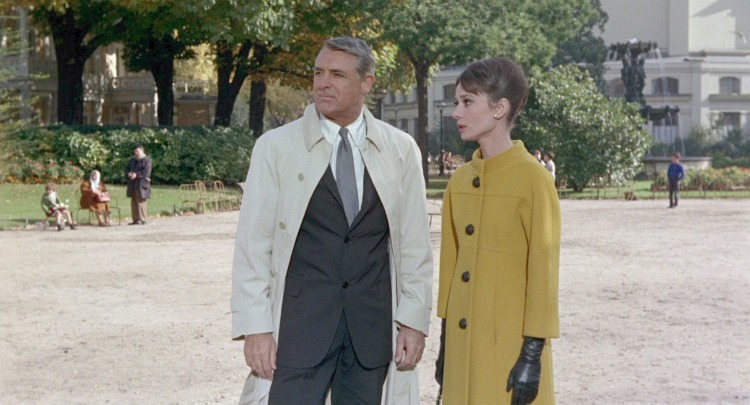 Oh I absolutely LOVE Charade. I was having a 'Audrey' marathon on Netflix one day, and recalled a relative had it on VHS when I was younger. I need to get it on DVD at somepoint so I can watch it to my hearts content. I ADORE this movie, it is one of my all-time favorites -- the best Hitchcock movie the master of suspense never made. ;-) EVERYTHING just works in this film...the acting, the humor, the suspense, the fabulous 1960's CLOTHES!! I adore it. One of my most favorites!!! I love the whole thing, but the scene where Grant takes a shower fully clothed is one of the best parts! This actually wasn't one of my favorites. It seemed unnecessarily convoluted and I thought the age difference between them was weird. Apparently, so did Cary Grant. He said he'd only do the movie if they changed it so that Audrey was chasing him instead of the other way around. For YEARS this was my favorite film! I love how it has a super Hitchcock-y it feels too, but with a wonderful dose of humor throughout! Dressing Up For Your Blog. Say What? AVN Book Club: Why Didn't They Tell The Horses? Love To Read? You'll Love These! 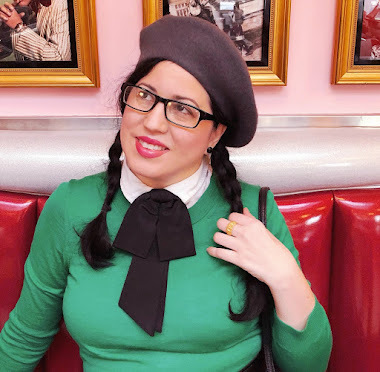 A Vintage Nerd is Blogger of the Month of June!